When you get into a car accident, getting an attorney involved may seem like the least of your priority. You may think that they’ll only add to your costs and your woes, but that’s not the case. Of course, if you are injured and dazed after a car accident, you should be getting emergency medical assistance ASAP. Equally as important, however, is getting legal help from a professional attorney before insurance company. You can be relieved of many of the hassles you have when taking care of the accident’s aftermath. One of the most pertinent benefits of working with an attorney after you have had a car accident is that the attorney deals with insurance companies on your behalf. One thing you should know about insurance companies is that they have a lot of financial resources and a lot of legal resources to manage its distribution to their insurance policy holders. They decide on the goals for your case when they come across it, then and there. They can either deny you the compensation after they evaluate the case, or they can get your settlement quickly and with the least money coming from “their” pockets. Hardly ever, is there a third option. But it is there, that option is accessible through hiring an attorney for your accident case. Once the party at fault during the accident comes across and informs their insurance company about the collision, their insurance agent calls you after a whole. The agent can also visit you at the home, workplace or hospital. Insurance Companies Have Your Best Interest in Mind? They convince you that your interest is at the top of their mind, but think logically for a second. Why would they want you to act in haste if that was the case? The insurance companies are looking for their own interest and gains. A professional attorney fighting for your case will make it easier for you. The fact that the insurance companies discourage you from getting an attorney is what should give you an idea of just how much of your interest they have in mind. They want you to sign a waiver that relieves them from different legal liabilities. This is why it is better to call an attorney before insurance. Hiring a professional attorney will make things difficult for the insurance company and their agent, not you. Remember that. Without an attorney, you will not be able to concentrate as much on a speedy recovery and utilize your time to the fullest. Recovering smoothly is a possibility when you contact the professional attorney before the insurance companies. What you want to communicate about your case to the insurance companies is dealt by the attorney. They know what, when, how and where to say anything regarding your case to the insurance companies involved with it. Personal injuries can often rely on the spoken word, which can’t always be completely reliable. With detailed accounts and stories even by eye-witnesses, it can become really difficult to prove who is and who isn’t at fault, at times. Calling an attorney before insurance, you’ll be able to make things work in your favor with their understanding of the law as applied to your situation. 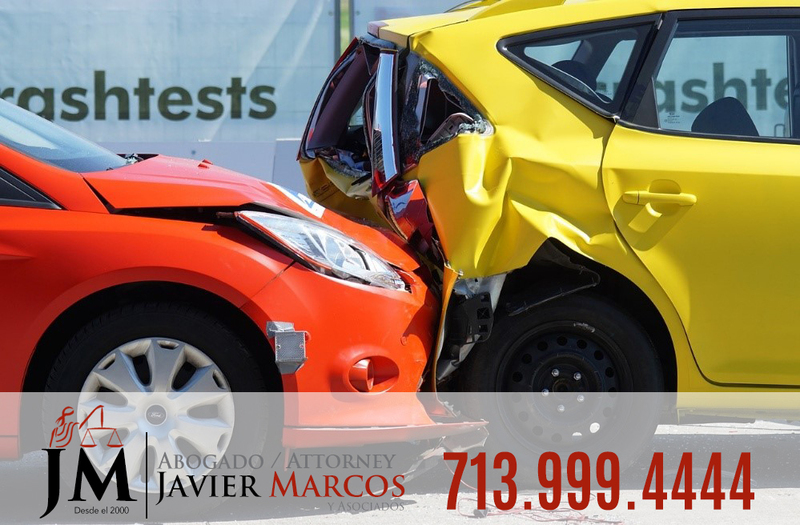 If you have suffered a car accident, call an attorney before insurance like Attorney Javier Marcos. You can call 24 hrs at 713-999-4444. Free consultation and no payment unless we win the case.